Inspired by the wooden features on Vancouver’s famous North Shore, our Shorebridge System requires balance and bike control. 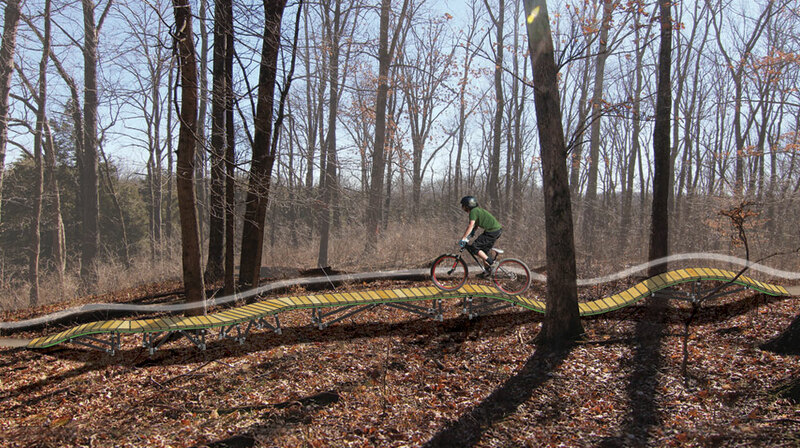 The Shorebridge System is the perfect feature to span long distances of unstable terrain or exposed roots. Designed to be both challenging and functional, The Shorebridge System can incorporate The Sunset, Rainbow, Teeter Totter, and Cannon with supplemental connectors such as the Raidial Up, Raidial Down, Turn and Y bridge connections.